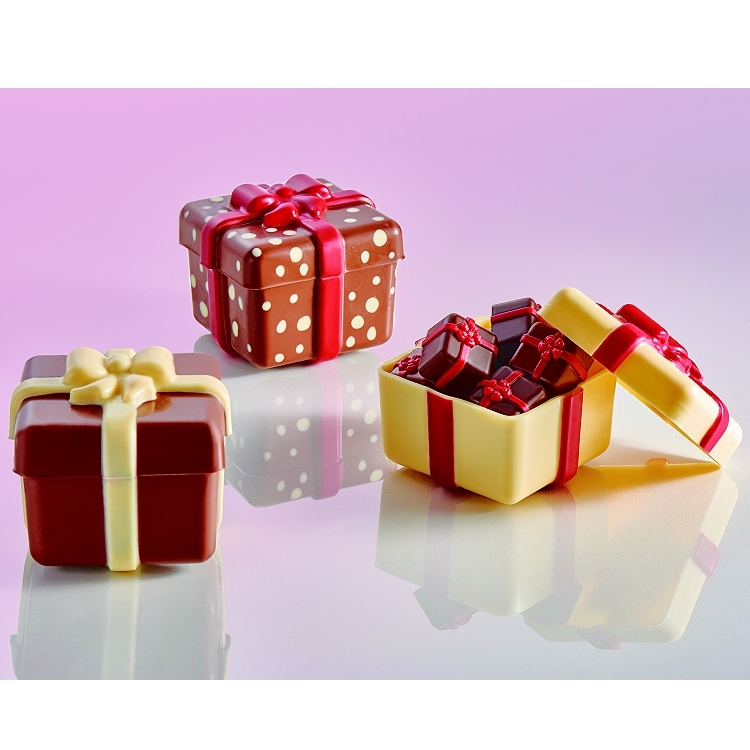 This Wrapped Present Gift Box Mold is a fun and original idea. 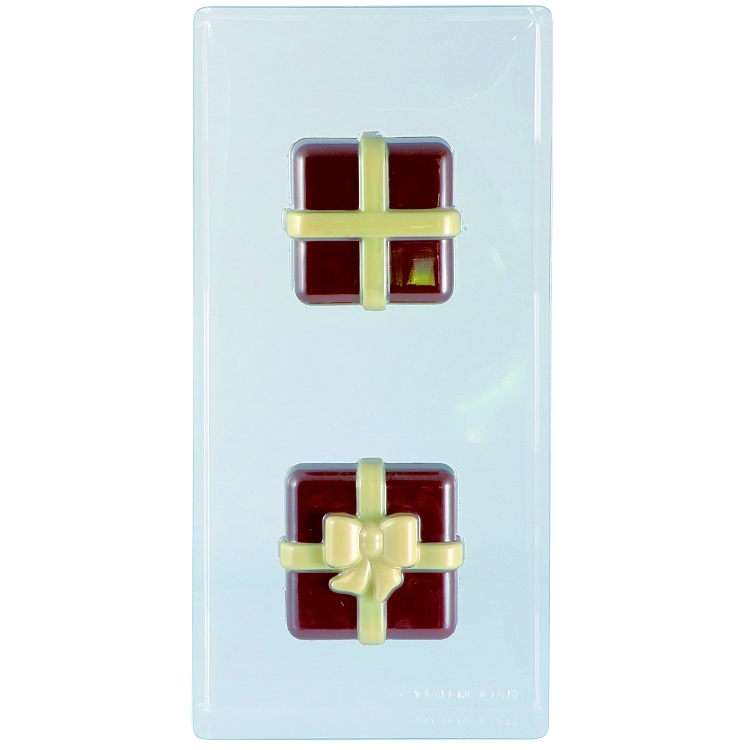 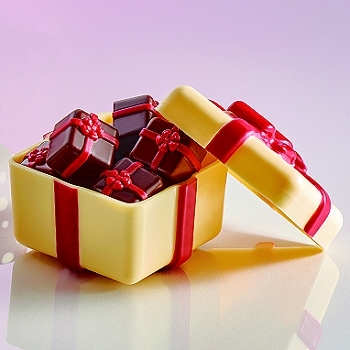 Ideal chocolate mold for a holiday, birthday or special event. 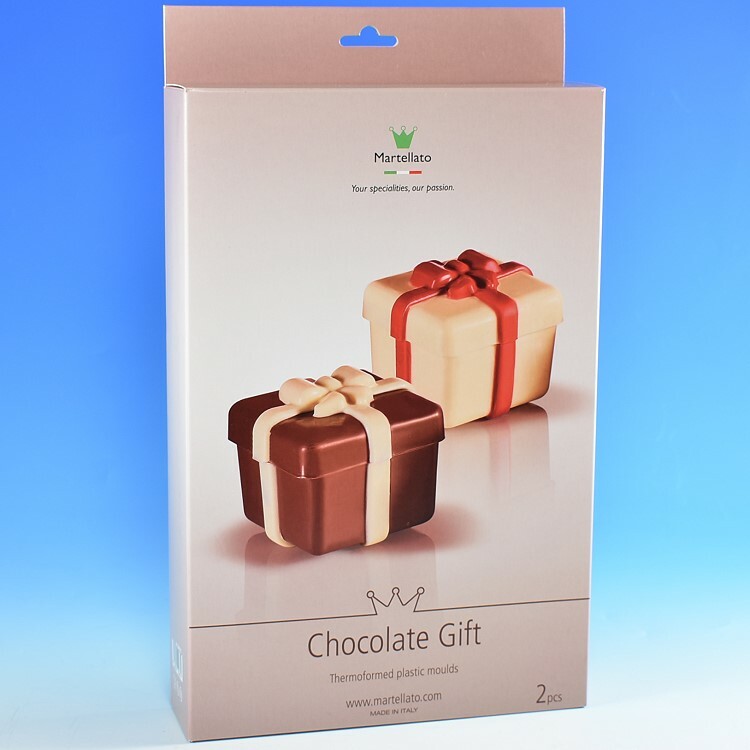 Can also be given as a gift, shop display or catering event. 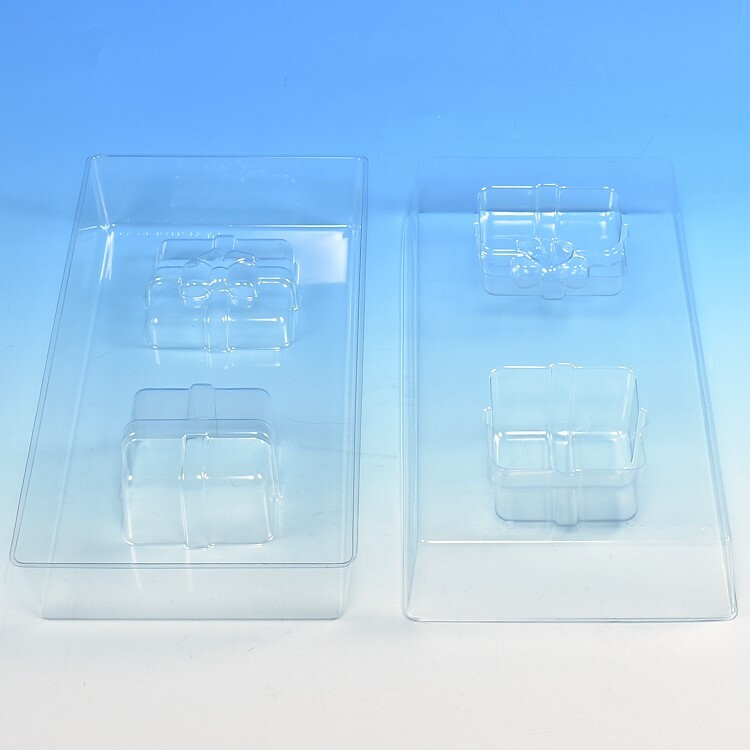 Impressions of both halves of the box per mold.